Latitude is defined as “a measurement on a globe or map of location north or south of the Equator” (Encyclopaedia Britannica, 2018). A unit of measurement created by the Ancient Greeks using astronomical observations, latitude was created to aid sailors in navigation. Thousands of years later, just as Medieval Christians believed that the Earth was the center of the universe, so too did European cartographers believe that the center of Christianity was positioned higher on the map of the earth than other ‘heathen’ countries. This depiction of the globe with Europe, North America, and North Asia above the equator, and the rest of the world drawn below the equator, is still in use today, and has indirectly led to an arbitrary feeling of superiority from the Global North. Now it is known that not only is the direction in which we draw the world is arbitrary, but the size of countries on the globe are quite skewed. Perhaps just as skewed is the way in which the Global North considers the Global South “Third World Countries”. Many people use the term “third world country” to describe any country that is not a part of the so-called Western World. The term “Third World” was originally created during the Cold War to describe nations that were not aligned with NATO or the Communist Bloc. Today, any country that is considered poor or underdeveloped has been roped in to embody the title of a Third World Country, generally, the countries below the equator. Certainly, the countries often considered to be Third World do have more impoverished people, less educational opportunities, and smaller economies. However, the term has created a misguided idea that the Global South is inferior to the Global North. U.S. President Donald Trump has on many occasions publicly disrespected such countries, going as far as saying “Why are we having all these people from shithole countries come here?” in reference to the people of developing nations (Dawsey, 2018). Latin America is a region whose countries are often considered Third World countries that are less developed than the United States and much of Europe. However, despite the exploitation of Latin American resources and governments by “First World Countries” many Latin American countries are much more “First World” than the Global North chooses to see. It is undeniable that many Latin American countries are ranked higher than most in terms of violence and murder rates. Brazil is listed as having the highest murder rate in the world. Mexico, Colombia, and Venezuela are also high on the list; however, the U.S. is ranked as 14th for the most murders per capita. The U.S. has more murders per capita than over two thirds of Latin American countries. In fact, in terms of total crimes committed per capita, the U.S. is 1st out of every country, whereas the first Latin American country on the list is Mexico at number 12 (Murray, 2002). In terms of misconceptions about Third World Countries and Latin America in particular, the crime rate is probably the most common. Not only are most crime-related statistics higher in the U.S. and many European countries than in Latin America, but, with the exception of very few Latin American countries, hate crimes and fear of violence due to skin color, ethnic origin, or religion are much more prevalent as well (Murray, 2002). For Latin American countries that are often considered “Third World”, the fear of violence and crime statistics are much lower on average than many of their “First World” counterparts. Not only is crime lower in many Latin American nations than in the U.S. and Europe, but the rate of happiness is significantly higher in Latin America. According to the Happy Planet Index (calculated from three components: Perceived well-being, life expectancy and ecological footprint), Dominica and Costa Rica are the second and third most happy countries in the world. Other Latin American and Caribbean countries follow closely behind, while most European countries do not show up until around number 80, and the U.S. is ranked low as number 144 (Murray, 2002). In terms of scientific advancements, Third World countries seem to be doing just as well as the Global North too. In the past several years, Costa Rica has run almost entirely on renewable energy, and is one of the only countries in the world to be able to do so (Chow, 2017). Nacho de Marco, CEO of the highly ranked technology Service company BairesDev explains that “through government initiatives, private investments and the drive of local citizens, these countries [Latin American countries, particularly Colombia, Argentina, and Mexico] got involved in the technology race and now produce IT talent that matches the level of those in first-world countries” (De Marco, 2018). The Global South is often roped into being made up of Third World countries due to their location on a unit of measurement created by Ancient Greek sailors and the maps of Medieval Christian Cartographers. This outdated and misused term to describe Latin American countries as well as other developing countries gives the misconception that Latin America is lacking in areas in which the U.S. and Europe excel. Nations that the world has come to view as Third World Countries are often more First World than the Global North chooses to see, and in turn, the Global North is often more Third World than they like to believe. Encyclopaedia Britannica. (NA). "Latitude and longitude". Encyclopedia Britannica. Retrieved Thursday, December 27, 2018. Josh Dawsey. (2018 Jan 12). "Trump derides protections for immigrants from ‘shithole’ countries". The Washington Post. Retrieved Thursday, December 27, 2018. Edria Murray. (2002). "Total crimes: Countries Compared". Nation Master. Retrieved Thursday, December 27, 2018. Lorraine Chow. (2017 Nov 21). "Costa Rica Runs Entirely on Renewable Energy for 300 Days". EcoWatch. Retrieved Thursday, December 27, 2018. Nacho De Marco. (2018 Oct 23). 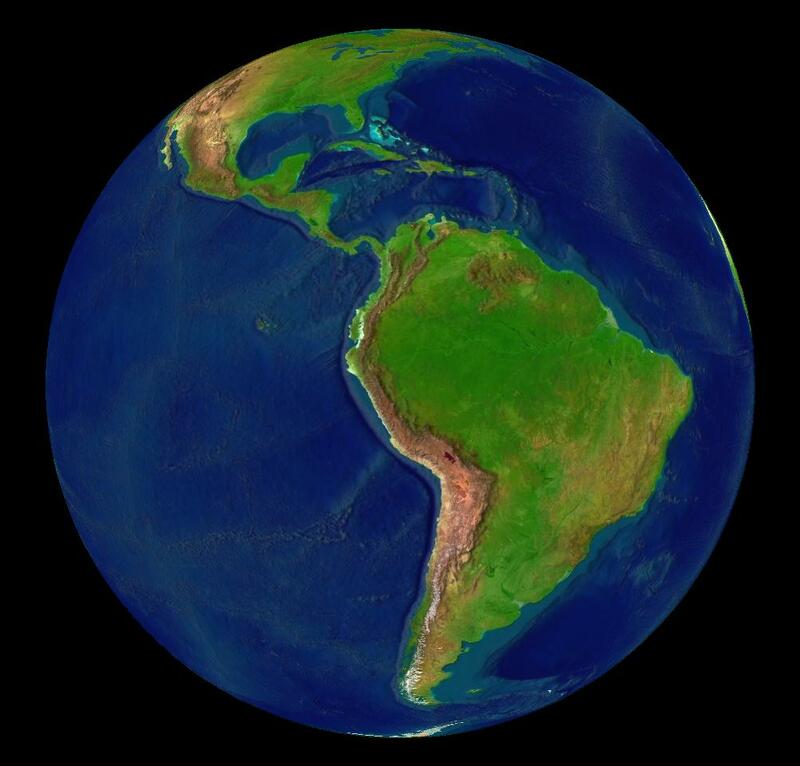 "The Growing Role Of Latin America In The Technology Industry". Forbes. Retrieved Thursday, December 27, 2018.